YSL's best selling men's fragrance and features in the best seller lists most years. The fragrance is distinctly woody, and the bottle based on Greek Architecture. There are 359 reviews of Kouros. The negative reviews are obviously from people who have no clue. Kouros (current formulation)is a beast. It is so strong after spraying that you simply can not just put your nose right up to it. It has to be smelled from a distance. That's where the magic happens. You have to wait a good hour before you put your nose to your arm and even then, two inches away, or the civet will overwhelm you. Civet is a note that's meant to work from a distance. The dry down of Kouros is hauntingly beautiful. Three sprays maximum, one on each wrist, and one under the shirt projects massively. Too strong to spray on the neck or upper arm area. Thinking about buying Kouros? I say GO for it. If you wear it right, you are going to love it! You probably will even develop an addiction to it. My advice to YSL is do not reformulate this anymore. The way it is right now is perfect! I LOVE wearing this luxurious juice! I tried the eau de toilette of this. Don't get me wrong, I love sweet fragrances for men, but THIS. It smells DISGUSTING. Don't be fooled by all the positive reviews, most of them are talking about the vintage version (that I've never tried and probably will never try but I assume it smelled better than the current version). This strongly smells like those flowers that reek of piss. I'm not kidding you. PISS. It makes me want to throw up. This cologne is masculine in all the wrong ways. It's an abomination. I don't even know how they managed to create something that smells so foul, sweet and macho at the same time. DON'T buy this before testing is. Or even better; don't buy this at all. Kouros was a ancient hero who was said to have climbed a mountain and found the doorway to Mount Olympus the home of the Gods. The God's were impressed with this manly hero and the way he carried himself in their presence. Zeus the Father of the Gods gave Kouros the divine ambrosia to take back to Earth. This ambrosia was said to give immortality if drunk and if worn as a fragrance make women and men fall down in awe before you. Kouros as the hero he was shared this ambrosia elixir of the Gods with mighty Kings and princes of the world. Many hundreds of years later another hero by the name of Odysseus found the ambrosia at the tree of life at the end of the world. He wanted to share this divine elixir with normal men and not just Kings and great Princes. So he copied the fragrance with the best ingredients he could find. He called it Kouros in honor of the great hero from hundreds of years ago who did climb a mountain and enter the realm of the God's. Thousands of years later a young perfumery called Yves Saint Laurent was said to have found the ancient parchment in a old Greek temple hand written by Odysseus himself. 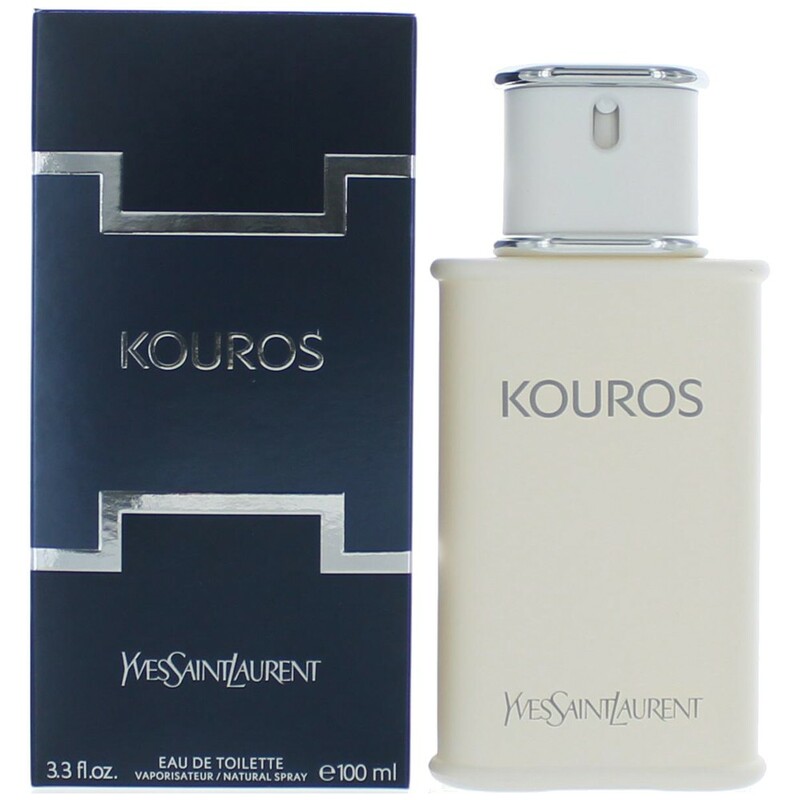 He took this formula and worked day and night and then in 1981 he released it to the world and like Odysseus he called it Kouros in honor of one of the greatest heroes known to mankind. For many years real men have enjoyed this juice, it may have changed over the years but it's Spirit lived on. Unfortunately when Yves Saint Laurent died and the company was taken over by L Oreal the scent was butchered. Some say in the old Greek temples they can hear the Gods cry and lamenting the greatest gift they gave man is no more. Lets us not forget the greatness of Kouros! Oh, wow, I hate it. It’s so good but I can’t stand it. Never again, but well done. In vintage, possibly the greatest achievement in male perfumery of all time. Can anyone comment on Kouros formulations? Scenting Halloween Horror Movie Stars! Again! Scenting Halloween Horror Movie Stars!